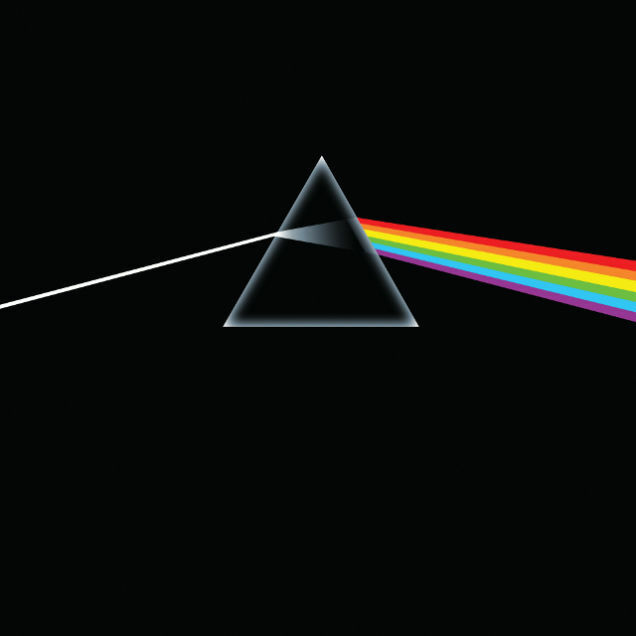 Pink Floyd’s beautiful prism cover for Dark Side of the Moon represents some kind of mystical transformation. How the whole spectrum can manifest from within the cloak of white light, splitting as a form of creativity, symbolic of mental disarray. 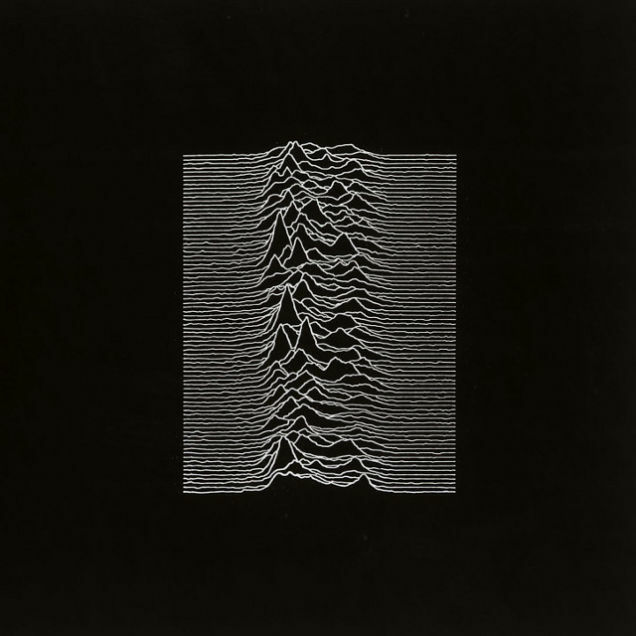 The otherworldly power of the pulsar frequency on Joy Division’s bleak opening album Unknown Pleasures. A pulsar is an incredibly dense star, and this stark graphic of the cry of a lonely dying planet is a metaphor for their in some ways unusually objective (yet also subjective) studies of isolation and existential alienation. 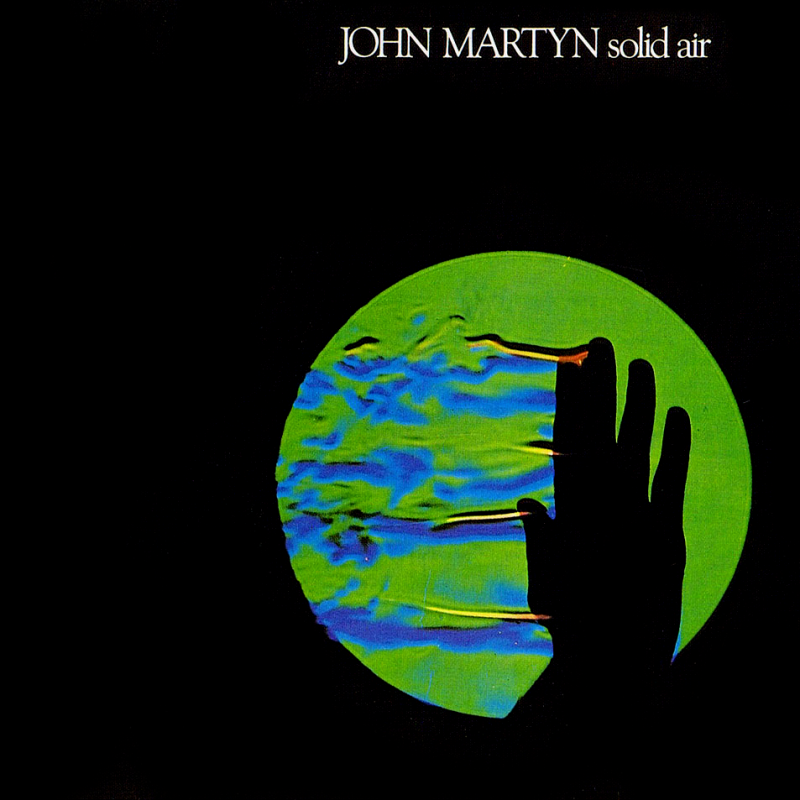 John Martyn’s title Solid Air sounds like an oxymoron, but is neatly visualised through Schlieren photography – a process used to photograph the flow of fluids as opposed to solid matter. While the album title relates to life’s many opposites, the artwork pays homage to a scientific breakthrough – the very first means of digital communication. Pioneered by Émile Baudot in the late 19th century, the Baudot Code relied on a series of ones and zeros to transmit messages, and was the most widely used method of telegraph communication up until the mid-20th century. 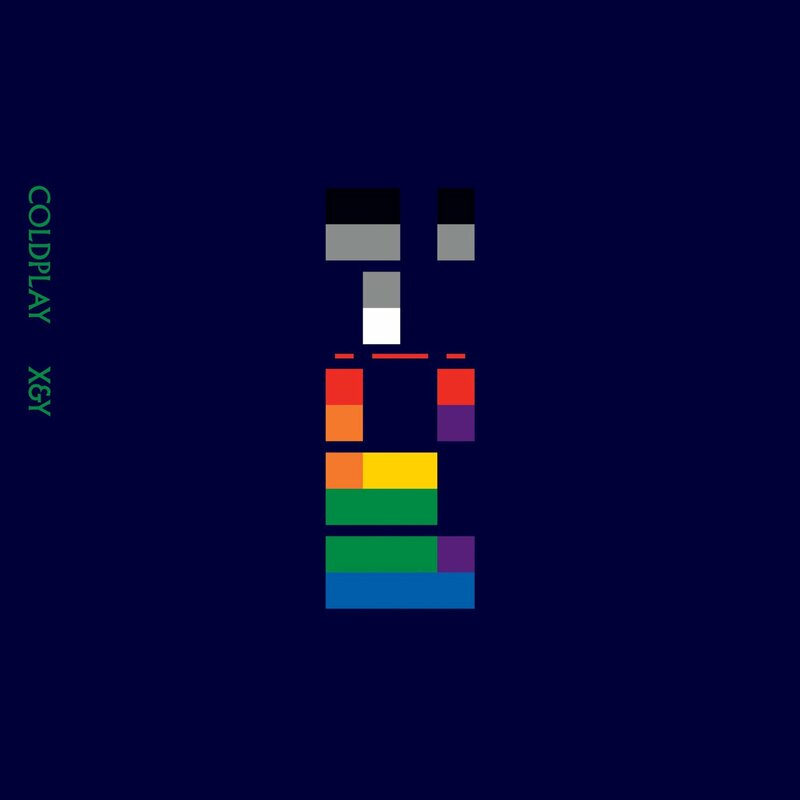 It is a graphical representation of this code that graces the cover of Coldplay’s third studio album. 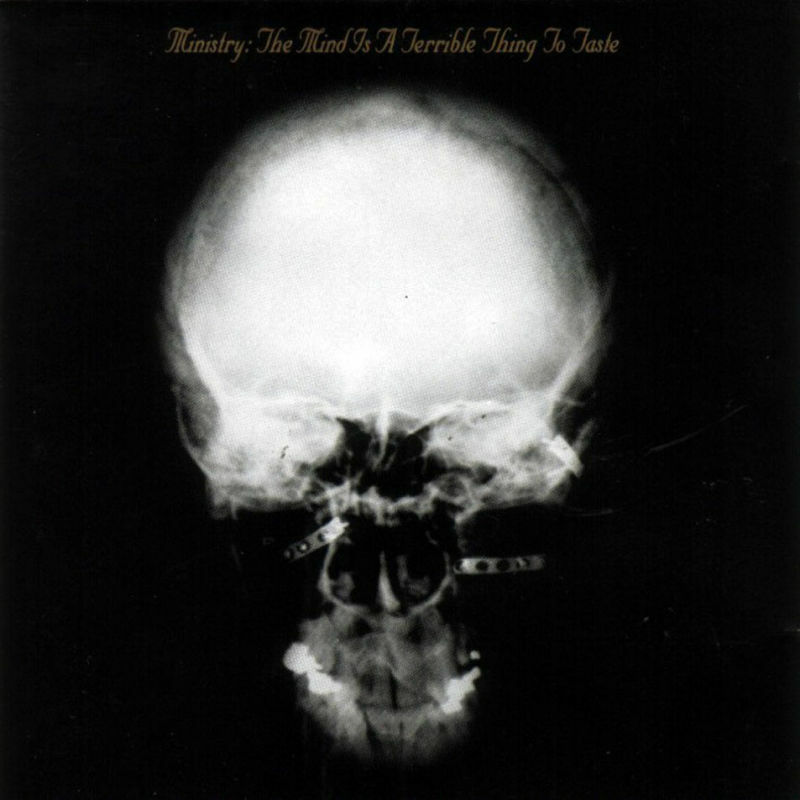 Ministry’s X-ray cover for The Mind is a Terrible Thing to Taste is a stark black image of a skull and brain, befitting for the uncompromising industrial noise they produce. Also the idea of seeing through something or someone, of peeling back the layers, is no doubt relevant. Muse frontman Matthew Bellamy’s strong social and political views have served as the inspiration for several of the band’s album covers. But they are often just abstract enough to leave their true meanings open to interpretation. 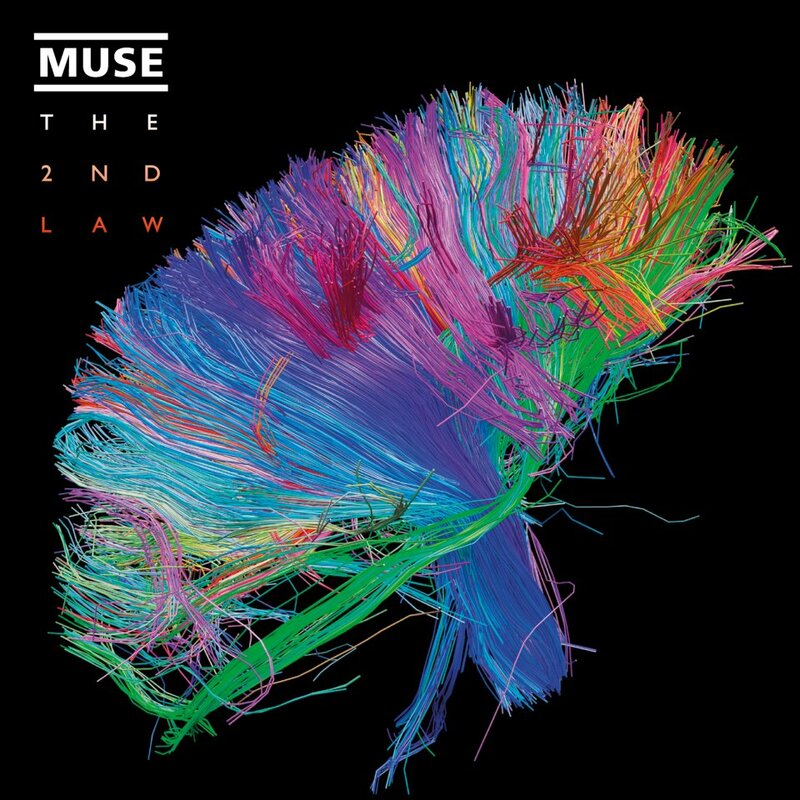 The title of this, their sixth release, relates to the second law of thermodynamics, but the vibrant cover art is actually a graphic rendering of neural connectivity designed to illustrate the complexity of the human brain. 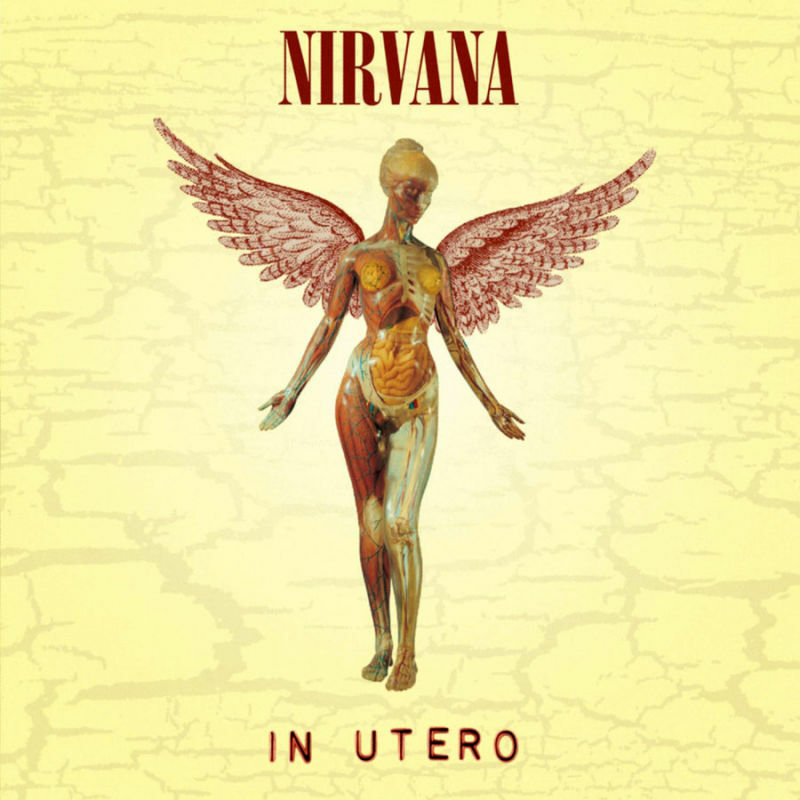 Nirvana’s In Utero is a very visceral rock album, with lyrics that explore relationships as parasitic on ‘Milk it’ as one of the many examples of unromantic objectivism on the record. It’s Kurt’s art on the cover.